Jim looks at me from under his hat, which is the same color and wears the same kinds of ancient stains as the cliff beyond the creek. You can read a reader in my syntax; you can watch a wannabe architect and artist I draw in my shapes. Tredinnick's poetry and essays are widely anthologised and published in journals, blogs and newspapers, in Australia and internationally. Mainly, he focuses on the stories of those who came before him, who made this region of the mountains their home. I saw this title on the shelf at the Five Dock Library and thought I'd give it a go. Mark Tredinnick Tredinnick no longer lives with his family along the Wingecarribee River, southwest of Sydney. The ancient Greeks, Alexander Pope, Edmund Spenser, John Milton, and the painter Thomas Cole are all rather famous pastoralists, and between the lot of them they've generated some rather famous poems, songs, epics, books, and paintings. There are times when Tredinnick doesn't manage to keep all the balls in the air, and when his impressionistic style breaks down, but I am willing to forgive these moments. Somewhere in Mark Tredinnick's works I read about the first people and the second people. Like the works of Peter Mathiessen, Barry Lopez, and William Least Heat-Moon, The Blue Plateau is a deep examination of place that transcends genre, incorporating poetry, people's history, ecology, mythology, and memoir to reveal how humanity and nature intertwine to create a home. It also brought home to me in a very real way, that the dispossesion of the first people happened on a dimension completely foreign, even non-existant to the second people. The Blue Plateau: A Landscape Memoir by Mark Tredinnick. What you see is the cage; what you get is the poem escaping it. What you can teach, what no writer can do without learning, are the technical matters that have their equivalent in other human arts and sports and pursuits: sentence craft, the things White and Hemingway and Kenyon taught me; grammar and punctuation; the ageless elements of style; and in poetry several thousand years of wisdom about prosody and form, metaphor and meter, sense and sensibility and the music of speech. 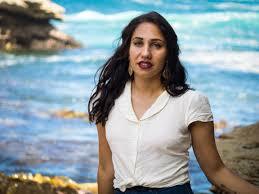 Winner of the in 2011 and the Cardiff International Poetry Competition in 2012. So who are we and who do we want to be? The Blue Plateau is, after all, about the Blue Mountains of the Sydney Basin--which are not, as you might have gathered, real mountains in the sense of being pushed up by subterranean tectonic forces, but are in fact the deeply eroded remnants of what was once a continuous sandstone plateau. But poetry, as Basho said, is a Way, not an art, or not merely an art. Australia needs more nature writing in this school, and I only hope to read more of it in years to come. Described in subtitle as a 'Landscape Memoir', 'The Blue Plateau' is Tredinnick's account of the years he spent living in Katoomba, in the Blue Mountains east of Sydney, Australia. The author is also a crack natural historian who knows a brumby from a bullock, out there in the scribbly gum and hanging swamps. Overall I quite enjoyed it. He has named poets John Keats and Gerard Manley Hopkins, Emily Dickinson, Mary Oliver, Jane Kenyon, and Seamus Heaney, Robert Gray, Dylan Thomas, and Charles Wright, as influences and teachers. This book reveals the plateau through its inhabitants: the Gundungurra people who were there first and still remain; the Maxwell family, who tried, but failed, to tame the land; the affable, impoverished, often drunken ranchers and firefighters; and the author himself, a poet trying to insinuate his citified self into a rugged landscape defined by drought, fire, and scarcity. Once upon a time he was a lawyer. At its simplest level, the plateau is not interested in human life as we are interested in it. Geology figures heavily in this study, as do the people who have found their own bit of paradise in this marginal land. If so, poor fellow, my country, indeed. Les was in the valley the way the weather was…The way the light is in the air. See the seller's listing for full details. His poetry and nature writing have been the focus of doctoral work and scholarship, in particular in China, where ecocriticism is a strong emergent field of academic work. That was followed by The Lyrebird, a chapbook, in 2011 and Bluewren Cantos in 2013. I think Mark has bridged the gap between the two. He took a double degree with Honours in Arts and Law at the University of Sydney University, majoring in history, and taking courses in philosophy, in addition to law. Informality is a key to his lyric. An inspired meditation on the contours of the land and its people, of time and place and family, the rhythms of nature and the rhythms of friendship, it is a book of many belongings. We turn to poetry to say what most people feel and few know how to say. The purpose is to free yourself and your writing — from distraction and chatter and banality and superficiality. This book reveals the plateau through its inhabitants: the Gundungurra people who were there first and still remain; the Maxwell family, who tried, but failed, to tame the land; the affable, impoverished, often drunken ranchers and firefighters; and the author himself, a poet trying to insinuate his citified self into a rugged landscape defined by drought, fire, and scarcity. I'll be leaving for a year's travel overseas soon, it's nice to have read such loving descriptive writing about the Blue Mountains before I go. Sometimes I lost track of the narrative but I didn't really care. Described in subtitle as a 'Landscape Memoir', 'The Blue Plateau' is Tredinnick's account of the years he spent living in Katoomba, in the Blue Mountains east of Sydney, Australia. 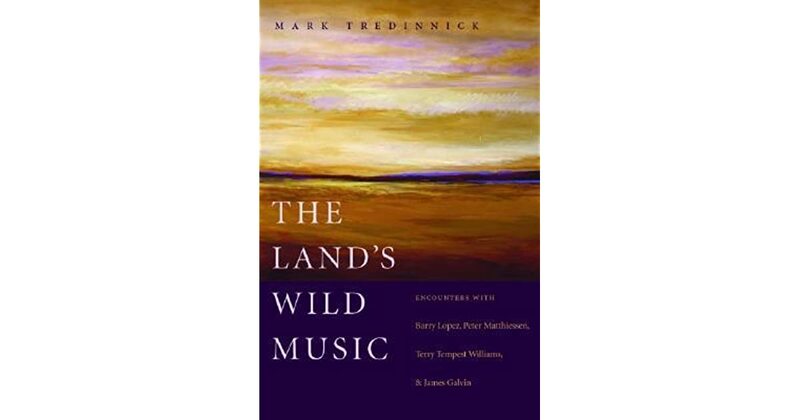 Tredinnick took his doctorate in 2003 and his thesis was published in 2005 Tredinnick's first book, an edited collection of nature writing essays from Australian and North America, A Place on Earth, came out in 2003 in Australia 2004 in the United States. The work can be read as an elegy for the earth as man heats the planet, but Tredinnick is careful not to allow eco politics to subsume his art. Anyway, my friend Barry was asking me the other day, when we were talking on the phone, what we'd call a creek bed dry of water, like the Todd River in Alice Springs. The Blue Plateau conveys a deep sense, rooted in the very syntax of a lush prose about an austere land, that there can be no meaningful division between nature and culture, between humans and all the other life that interdepends with us, not in the backcountry of southeastern Australia, nor anywhere else. 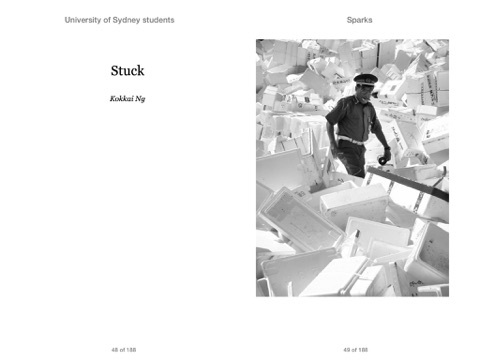 Australian Book Review 334 : 64. Then again, maybe we no longer have that dimension available to us. An inspired meditation on the contours of the land and its people, of time and place and family, the rhythms of nature and the rhythms of friendship, it is a book of many belongings. It rebukes politicians and crooks and bullies by refusing and refuting the cravenness of their thinking and the manipulation and tyranny of their language. If it's like that for a writer, as it is for Judith Beveridge—as it was for Rumi and was for Heaney and is for me, I think, then there's no quitting it. This winter has been drier than most, and the creek bed below is about as empty as you'd expect. These moves are, for the most part, handled so gracefully that I hardly notice; on one page I'll be deeply invested in learning about the Cliff Mallee Ash Eucalyptus cunninghamii , and on the next I'll be carried away by the same floodwaters that took Oonagh Kennedy in 1967. It is a poetics of witness. Tredinnick uses photographs, diaries, and oral accounts to piece together the lives of these people in a way that reads, at times, like fiction. Mark Tredinnick has evocatively captured a place, its geological history, and its profound role in human lives rooted in it. What a poem is, is not just what it says or how it sounds, but also how it looks—its form. I loved the way it framed certain moments in the history and geology of the landscape - these choices were superb - but a book must be readable and I found this a very hard slog indeed. He spent a long writing apprenticeship in prose, and published several prose books and hundreds of essays, before his first poems were published in the early 2005.